Brave New World, 1984, The Wall, Equilibrium and more recently Hunger Games, modern culture is haunted by the spectre of extremely well-organized societies whose apparent perfection conceals dark dictatorial worlds. If this formal exercise is known to all, what is the intimate origin, the true source of its inspiration? 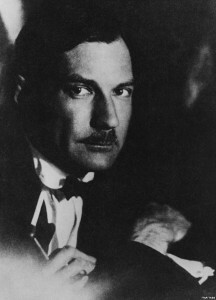 In fact, everything comes from a small Russian sci-fi novel published in 1920 by Yevgeny Zamyatin, « We « . 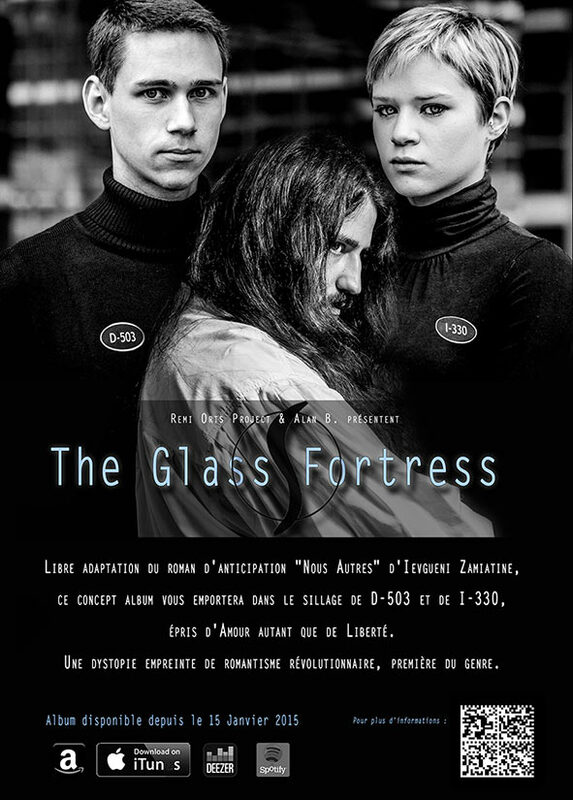 Rémi Orts Project and Alan B wish to pay tribute to this counter-utopia, first of its kind, by revisiting it in their concept album, the “Glass fortress”. « (…) comparable to the best works of Pink Floyd, the spiritual climate of the book is admirably recreated ». Pablo Capanna – Philosopher, essayist, specialist of dystopias and other Sci-Fi litterature. « Beautiful, tragic, moving and thought-provoking ». Glenn Rikowski – Independent researcher and blogger. « The quintessence of the original text has been preserved ». Dr Willi Real. TELIC. Un mundo feliz, 1984, The Wall, Equilibrium y el más reciente The Hunger Games evidencian la obsesión de la cultura moderna por el fantasma de unas sociedades sofisticadamente organizadas cuya aparente perfección disimula tétricos universos dictatoriales. Ahora bien, si conocemos todos el ejercicio de estilo,¿Cuál es el íntimo origen, la verdadera fuente de inspiración ? Déjate llevar por la trayectoria de Daniel y Iris, dos seres opuestos en todo y que sin embargo se unirán en el mismo destino, el de la elección de la vida, siquiera a costa de la suya. « (…) se parece al mejor Pink Floyd y recrea el clima espiritual del libro de manera admirable ». Pablo Capanna – Filósofo y ensayista argentino, especialista de las distopías y demás anticipaciones. « Precioso, trágico, emocionante e intelectualmente estimulante ». Glenn Rikowski – Investigador independiente i autor de blog.